We threw a party yesterday–an afternoon cocktail party of sorts…at which no one drank cocktails and half a dozen babies congregated underneath the dining room table. I was worried no one would come. I’m was also irrationally afraid of running out of food. And of being awkward. Lots and lots of people came and I’m sure I was a little awkward, but we most certainly did not run out of food. Then again, had all of our 35-odd guests been professional linebackers instead of seemingly normal people with a diabolical gift for healthy portion control, we would have still been sending everyone home with bags of cookies and plates of cake. I made way too much food. 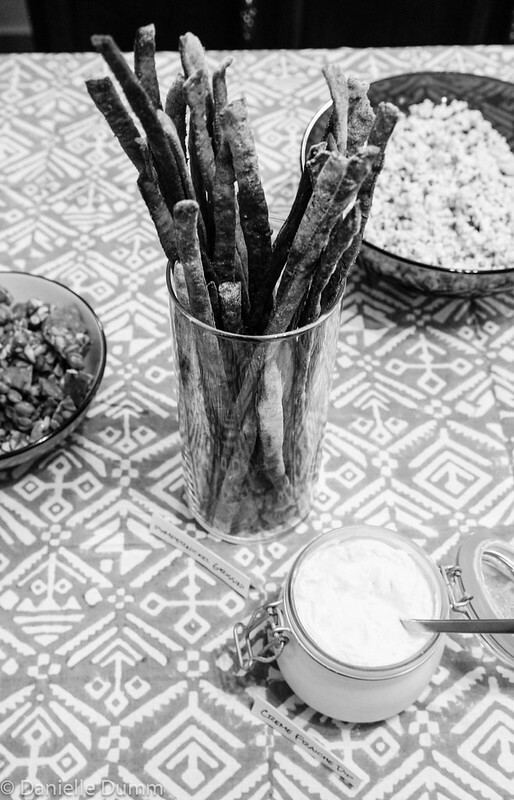 This was my first time throwing a party for that many people and it was something of an obsessive, Herculean task getting all of the details right–or as close to right as I am capable– the food, the music , the drinks, kids’ cookie-decorating table etc. It was a ton of work, but a ton of fun. 1. No need to make two kinds of gingerbread. Grown ups and toddlers alike devoured the super spicy “grown-up” gingerbread and barely touched the more mild (but still delicious) orange-scented version. 2. The dish people raved about the most was the most after-thought of a dish for me to make. I’ve been making two loaves of sourdough bread every week since we lived in Chengdu. Feeding the starter, kneading the dough and baking bread is an almost subconscious part of my weekly routine. For the party I just added some walnuts and dried cherries and put a fresh-from-the-oven loaf out on the table with a dish of soft butter. Before I knew it, everyone was gathered around that corner of the table. b) no one will bother trying them because–why eat a store-bought cracker when there is so much else to eat on the table. I’d be more broken up about it if I weren’t so happy to have leftovers. 4. Why decorate 100 cookies when you can decorate 1 cake instead? The dessert I spent the most number of hours preparing, baking, decorating and agonizing over: the 100+ deliciously buttery sugar cookies with delicate almond royal icing. The dessert everyone else spent the most time oohing and ahhing over: the 14-inch tall layer cake that took almost no time to throw together and that I was convinced would fall over mid-party. 5. Homemade apple cider from real apples is a great party trick (but you better have a cheesecloth to strain it with or the process will take you far, far longer than you ever thought possible). We’re taking it easy today to eat leftovers and recover from all of the hustle and bustle of the last few days. Will be back soon though with more food-talk and hopefully very soon, more photos from around Delhi. You are amazing. You put so much love and thought into pleasing your guests that I have no doubt that the party was a hit. “a dozen babies congregated underneath the dining room table” – I’d love to see a photo of that! And that red ornament paper holder is so cute. Glad the party went well! Oooh! tell me about the cake. The almond royal icing looks spectacular by the way. I don’t usually use it because I think it hardens a tad too much. How did it do? 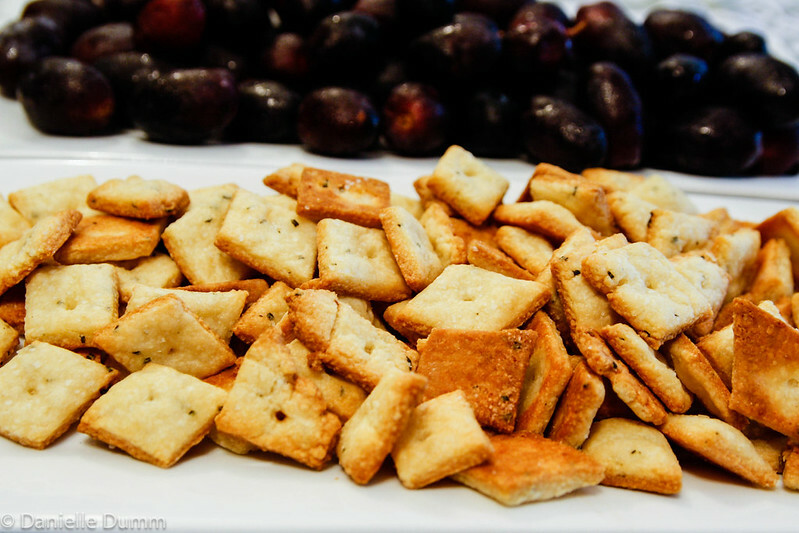 The homemade crackers look great and I’m certain Will will be enjoying them this week. I wish I was invited!!! It does get very hard but I find that as long as the cookies are eaten within a few days its not too bad. I don’t whip my frosting to quite “stiff peaks” just so that it will be stable for piping the outlines and then I mix some with water for flooding. The flooding layer is pretty thin so maybe that helps too. I always make too much food, too! I think I finally have a good idea of how much food I need to make. We just had Joshua’s bday party and I had a bit of leftovers. Enough for dinner that night! perfect! Looks like an amazing party! I want to see the cake, too!!! Oooh can’t wait to see the pictures of Joshua’s party! Wish I had picture of the cake!! It was a basic chocolate cake (with coffee and buttermilk) with peppermint buttercream frosting. The peppermint was nice for keeping it from feeling too rich. This all sounds so delicious! Would you mind sharing your sourdough bread recipe? I have a starter, but I only have a recipe for (the best) sourdough pancakes and would love to expand my sourdough repertoire. sure thing! I actually have a whole how-to guide written up for a few people and I’ve been meaning to turn it into a blog post for a while. Hopefully sometime this week! 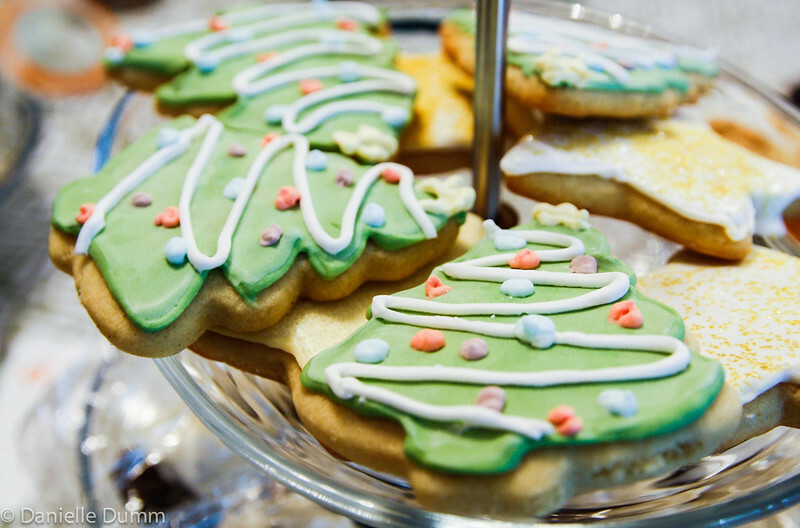 The Christmas tree cookies look very festive. Beautiful post. 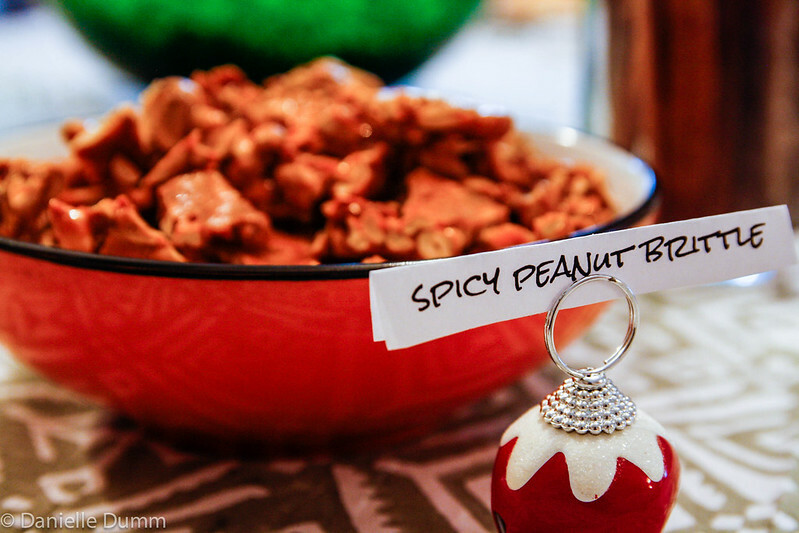 Sounds like a cookie exchange might be in order with some of those leftovers! As someone who knows all too well the painstaking process that is baking and decorating sugar cookies, I can’t believe you had time to make all that other delicious-sounding (and I’m sure delicious-tasting) food! omg the cookies! And I only took pictures of the best looking ones! 🙂 There is a CLO cookie exchange this week but its 3 dozen cookies each and that just seems like wayyy too many cookies for me to bring home, especially if its not with my friends and I don’t know how good everyone’s cookies are! 🙂 Horrible but true! How many cookies do people bring your exchange? And how many people? Three dozen?! That is crazy. This year was my largest cookie exchange in terms of attendees (11 — and a couple people canceled at the last minute so everyone had prepared for 13). I just told people that depending on the size of their cookies, they should pack a bag of 3-6 for everyone in attendance, plus have a few to enjoy at the party. That way people aren’t having to bake/decorate an inordinate amount of cookies. Ooh I like your strategy for the number of cookies. Much more manageable. 11 people! That sounds like a great party! Great sugar cookies…maybe people didn’t eat them because they were too pretty. I’m having my annual Christmas cocktail party next week. I always have so much food left over even when I make less than the previous years. Looks like so much fun Dani!! Happy Holidays! so beautiful! I’m going to a cookie swap this weekend. I’ve never done it before and like you said in an earlier comment- I’m a little leery of the cookies of people I don’t really know. I never realized I was such a cookie snob! What a jerk! Also- really looking forward to a post about the sour dough. I ordered a powdered sour dough mix a while back, still too scared to take on the responsibility of reconstituting and then having another “thing” to take care of…especially when I don’t even know if it will work out. Eager to hear more about yours. Sourdough is a great pet :). I neglected mine in the fridge for my entire 3 month mede vac when I went home to have Will and it was still just fine afterwards. Ill do a post soon, i did a write up and a demo in chengdu last year so ill dust it off and put it up! How was the cookie swap?